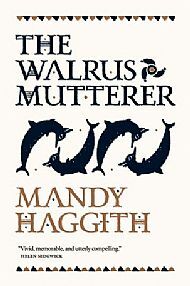 My new historical novel, The Walrus Mutterer, the first of a trilogy called Stone Stories, will launch in March 2018 at an event in Lochinver. Everyone will be welcome at the launch in Lochinver, at 8pm on Monday 26 March. Come along to hear a sample, to toast the new book as it floats free of its moorings into the wide world in search of readers, and of course to get your signed copy! Also reading that night, and talking about writing about the past, will be historical novelist Margaret Elphinstone and artist, writer and mariner, Ian Stephen. It'll be a great night of stories and histories. Don't miss it!